A Channel 4 investigation has shown that Labour's Rhondda MP and pants-selfie fan Chris Bryant has claimed an eye watering £70,700 between 2012 and 2014 to pay for rent on his London 'gaffe' whilst he simultaneously rented out his penthouse for around £3,000 per month. Parliament will officially be dissolved on the 30th March 2015 but as far as everyone is concerned it's all done and dusted until after the general election. This means we are now able to take a look at the 'Welsh' MPs and see how they did in the last term of parliament. Most of them will be asking once more for your vote so it's a good opportunity to see if they deserve it. Whilst looking at the Public Whip website I stumbled across the 'rebellions' section which they use to show how often an MP goes against the majority vote of their party. Naturally I was curious to see how often the unionist MPs rebelled against their party which is predominantly made up with MPs from England. Perhaps the biggest surprise was the number of MPs who had never rebelled against their party bosses during this parliament. To begin with here is the complete list of all 40 'Welsh' MPs. Labelled in the table is their constituency, their party and the percentage of times they have voted differently to their colleagues (who are mostly) in England. You all remember Tony Blair, the man who should be standing trial for war crimes but is instead jetting around the world giving speeches in exchange for oodles of cash? Of course you do. Well he has decided to donate some of his blood money to 106 'lucky' candidates around the UK. 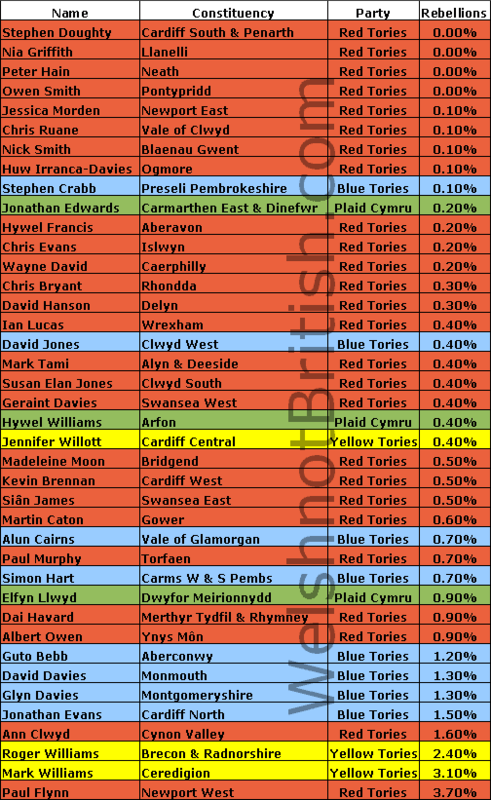 And thanks to LabourList I can show you exactly who the receipents in Wales are. And yes, one of my funky maps would be a great way of highlighting who Blair has bought off. 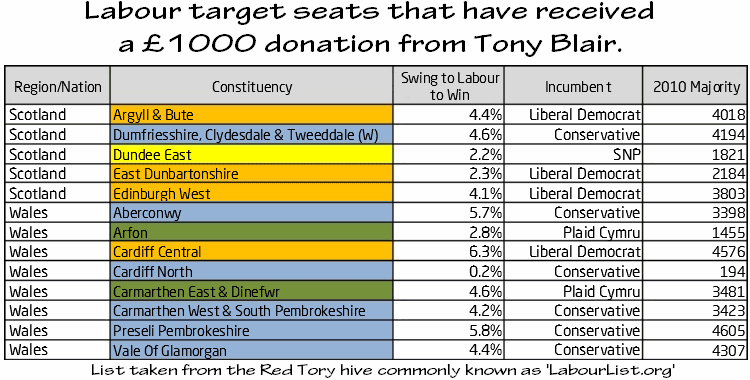 But first here's the list of seats in Wales and Scotland who are getting Blair's bonus. 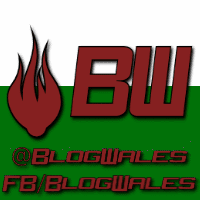 One popular lie told in Wales by the parties that are ruled from London is that they like to add the word Wales or Welsh into their branding in order to try and make people thing they are actually a Welsh party. One party that likes to do this is the Green Party of Englandandwales. Whilst they field paper candidates all over Wales they often spout little lies like they are the Welsh Greens. Their regional spokesperson, Princess Pippa likes to combine figures from other green parties and incorporate it into their own to make themselves more appealing. 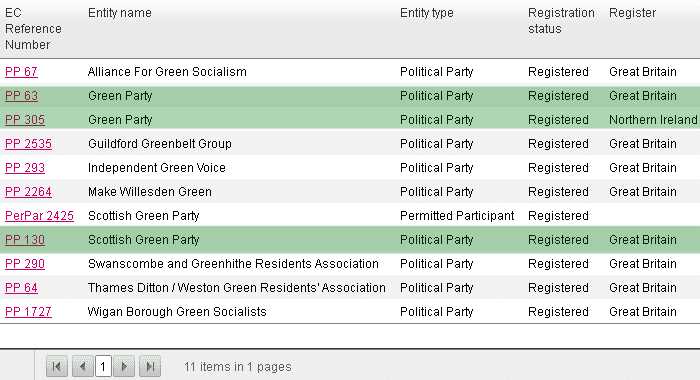 So off I trotted to the Electoral Commission website where you are able to search for registered political parties. Note that it does not allow direct links so if you want to verify anything you will have to use the search page. There are three green parties for the four UK nations.